Due to the popularity of our last ‘Under the Bonnet’ evening, we are spreading the experience across two days in April to reduce crowding and allow more interaction. 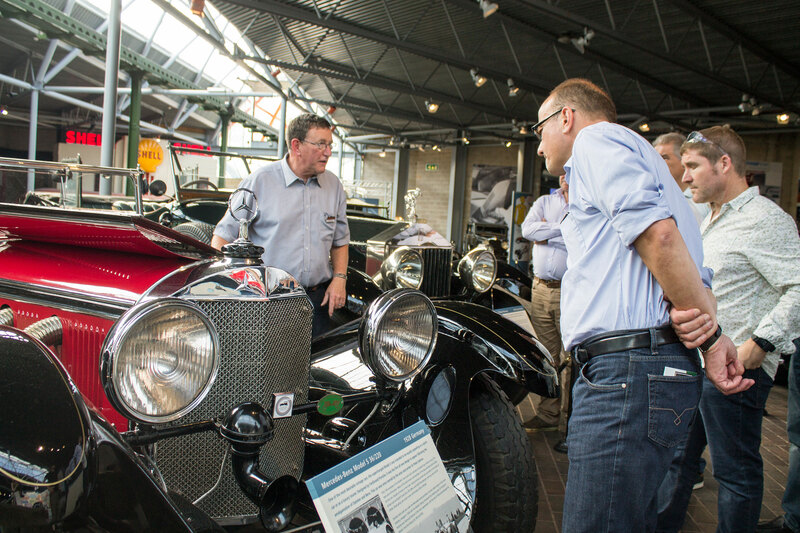 Museum Manager, Doug Hill, will once again give an informative insight into more of the Museum’s most iconic vehicles and no doubt treat you to a ‘start up’ or two. Please indicate your preferred date at the time of booking. Priority will be given to ‘Friends’ when booking. These evenings will be held exclusively in the Museum. Arrival at 6:30 pm for a 7:00 pm start in the National Motor Museum. A bar will be available for the purchase of beers, wines, soft drinks and tea and coffee. The evenings will conclude at around 10.00 pm. Tickets are £10.00 each for non-members; £7.50 for members. For further information and to purchase tickets please contact Theresa Browning on 01590 614792 or email theresa.browning@beaulieu.co.uk.